The fate of 14 teams will be decided by a couple of ping-pong balls tonight. What's at stake in the 2017 NBA draft lottery? Here's a team-by-team preview of everything you need know. Each and every year, in the middle of the NBA playoffs and with summer just a beat away, comes the time where we’re all allowed to talk about balls. Of course, these are the lower-case kind that bounce around in a hidden room in a Midtown hotel, not the ones that will run you half a grand for a pair of sneakers—although we’ll get to that later. The NBA draft lottery is upon us again, and this time there’s more at stake than usual. 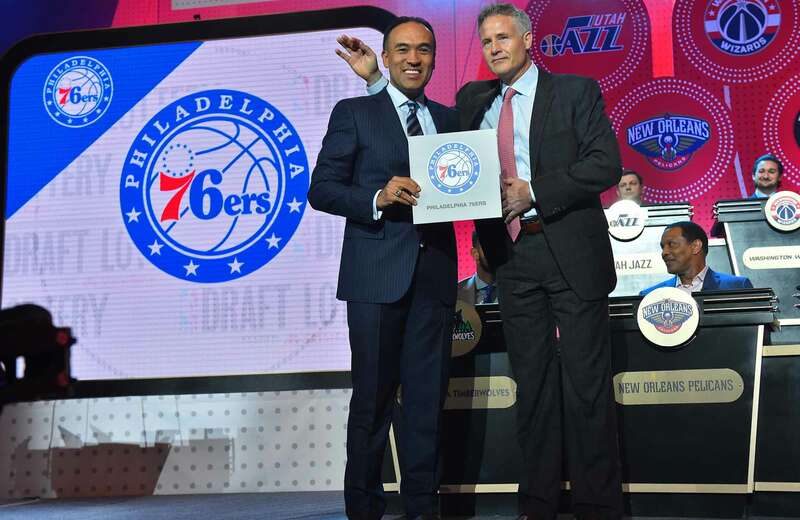 With a bevy of exciting prospects, marquee franchises drafting near the top, and a handful of weird, lingering pick protections still unsettled, plenty hangs in the balance before Tuesday night’s lottery. The Lakers might win the top pick, or not pick in the lottery at all. The Celtics might have a chance to plant a young star on a 50-win team. The Knicks and Kings... are still the Knicks and Kings. The Suns could pair Devin Booker with a budding star. The Sixers might have to hire Sam Hinkie back if it all breaks correctly. Here’s what you need to know heading into tonight, before 5-10 minutes of TV airtime determine fates around the league. Here’s a team who’s off-season could get more interesting than you expect, although we can’t really expect that to happen at the lottery. There is a 98.2% chance the Heat end up in their projected slot. Miami will be armed with some cap space this summer and, per usual, will be able to setup meetings with quality free agents. If you’re a Heat fan, you 1) shouldn’t feel like you need to watch on Tuesday and 2) probably wouldn’t turn the thing on until the second quarter anyway. If Miami wins, I’m sorry. The Nuggets also probably aren’t winning the lottery. One of the more interesting things about Tuesday night is that Denver is sending Gary Harris to the podium. Ostensibly, this means team executives view Harris, a spoke on the wheel in an increasingly confusing backcourt logjam, as a real part of the team’s future. That or Nikola Jokic is somewhere overseas. The thing about the depth of this draft is that Denver should be able to find yet another nice player this far down in the lottery, regardless of what happens. Of all the teams that need a minor miracle to win this thing, it stands to reason the Pistons need one the most. Last season was a bit of a wake-up call for Detroit. We’re now pretty sure that neither of their franchise building blocks is good enough to actually build around. Other than the emergence of Kentavious Caldwell-Pope, there just wasn’t a lot of fun stuff going on with the Pistons, and there could be change coming no matter what. There’s a 2.5% chance Detroit leaps into the top three. The Hornets had a weird, pretty unlucky season, but they don’t feel that far off from being a playoff team again. They don’t need to win the lottery. But if they do, we’ll all be absolutely sure the entire thing was rigged by Nike. Those shiny new Jordan Brand uniforms sure would look spiffy on Markelle Fultz in six months. New Orleans is where the lottery truly gets interesting. This is because even though the Pelicans are likely to send this pick to the Kings, Sacramento inexplicably gave Dell Demps top-three protection on this pick in the much-scrutinized Boogie Cousins trade. This means there’s a 4% chance that King Cake Baby smiles extremely wide on Tuesday (although honestly there’s an 100% chance he’s smiling somewhere and an 100% chance it’s creepy as hell). 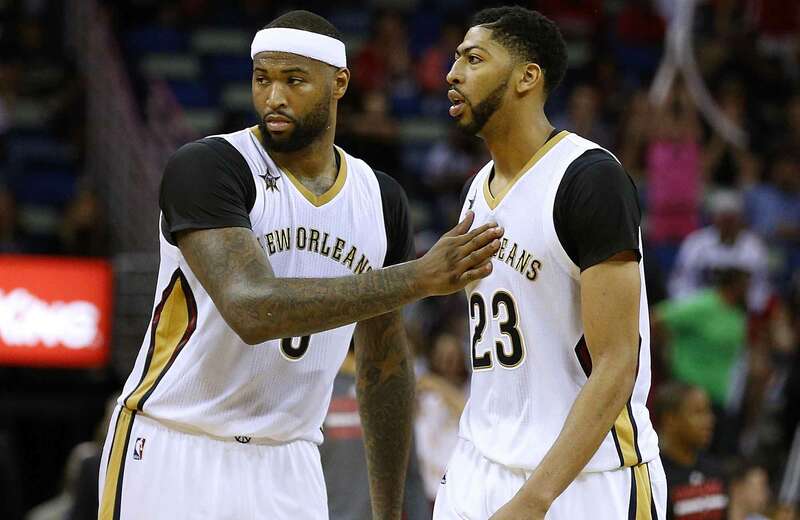 If this happens and the Pelicans get to draft a potential supporting star to pair with Cousins and Anthony Davis, it wouldn’t necessarily mean the franchise is saved, but it would make for one of the most interesting long-term scenarios in the league. More likely than not, the Kings are just going to pick 10th. But there’s a chance! The only outcome I’ll accept on behalf of the Mavericks in this draft involves Lauri Markkanen, Dirk Nowitzki and the most obvious torch-passing storyline in NBA history. I don’t really care where Dallas ends up picking, but this needs to happen. I’m not even sure Markkanen is going to be good, but I feel confident in the possibilities that lie within the orbit of geriatric Dirk. Ah, the Kings. So, not only can they hand the the Pelicans their top-three pick back, but they can’t actually win the first pick regardless, because the Sixers still have swap rights from the (all-around-not-sensible) Nik Stauskas trade a couple years ago. The best–case scenario for the Kings would be drafting second, right behind the Sixers. The worst–case scenario is that three teams somehow find a way to jump Sacramento, meaning that they’d draft outside the top ten and have to send this pick to Chicago. These are the Kings, so it feels eminently more possible than it should. But all in all, there’s a 10% chance they land a top-three spot, which would still mean a pretty desirable draft position whether or not they swap with Philly. Then again, they’re almost definitely eyeing another innocent Papagiannis in some other country. Because the Knicks won their last game of the season, they put themselves in a tiebreaker scenario with the Timberwolves, which they of course lost. So New York will pick seventh, barring someone taking a leap into the top three. 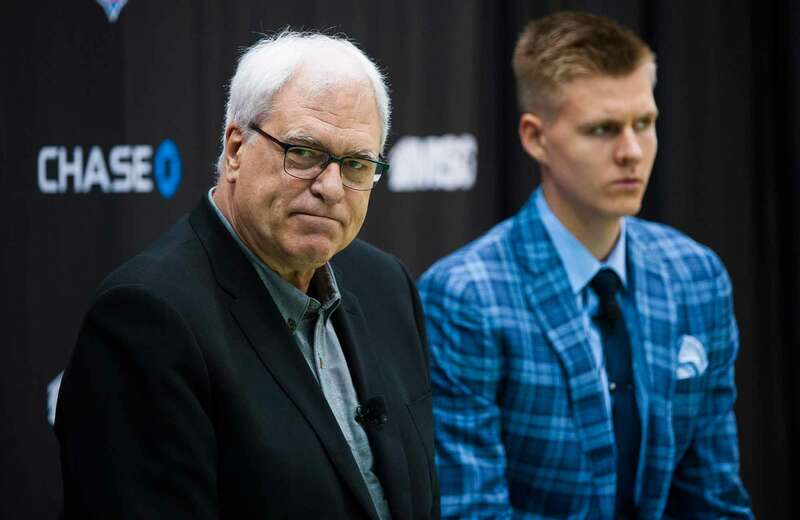 Phil Jackson isn’t participating in the lottery, so whatever suit Clyde Frazier ends up wearing on the podium at least gives us a visually captivating subplot. The Knicks, as usual, could really use a friendly bounce, but nobody in New York feels remotely good about that. Given the range of top talent, at least Kristaps will get a new running mate. Of all the teams with significant odds at winning this thing, the Timberwolves probably need it the least. They have a ton of talent notwithstanding and are getting closer to pulling this thing together. Everyone can and should root for the Wolves to be the next fun young team, but then again, if they win the lottery, it’s a little unfair. Who are we to judge fate? At this point, it’s reasonable to look at the Magic’s assets as highly liquid. Wherever they pick, they’ll be in place to draft the best long-term building block on the table, regardless of position. Orlando has four picks out of the draft’s first 35 selections (this one, 25, 33 and 35) and desperately needs to restock the cupboard. They’ll have the chance to draft a very good player no matter what, but a good result Tuesday would be a great place to start. We’ll need riot police in Philly in the event the Sixers land the first pick, knock the Lakers out of the top three, and then also land No. 4 after L.A. loses its pick protection, which Philly got via Phoenix in exchange for dumping Michael Carter-Williams. The Sam Hinkie loyalists are drooling. This is a draft with massive implications for the 76ers, not only in the sense that they could land two top–five selections, but in the sense that the Colangelos will have their first undeniably big choices to make as far as the direction of the franchise. Consensus handed the team Ben Simmons a year ago, and by all accounts he’ll get a chance to run the Sixers next season. We now know Joel Embiid is quite good, but there’s no guarantee he stays healthy, and plus, he’s approaching a potential summer contract extension. Philly is almost definitely going to have to overpay relative to the risk there. So whether it’s one pick or two, the Sixers need to get the right parts in place around their glut of big men and do it fast. They also have four second-rounders (36, 39, 46 and 50), meaning they could pick as many as six times in this draft. But the key is the lottery, and there will be little margin for error when it comes to scrutiny here. Two No. 1 picks in a row makes the losing just a bit easier to swallow. The Lakers, far and away, have the most at stake in this lottery. 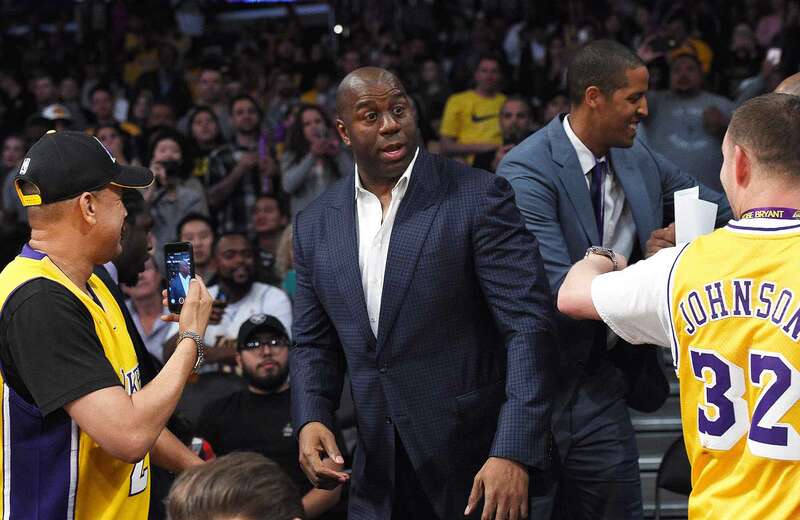 Magic Johnson will either be extremely happy or mournfully sad as he leaves the stage, top three pick in hand…or squandered away. The truth about the Lakers is that even after all these draft lotteries, they’ve yet to hit on a pick that inspires full confidence and portends long-term security, although the jury couldn’t be further out on Brandon Ingram. L.A.’s new leadership sorely needs to retain this pick, or it could set the rebuild back a few more seasons, no exaggeration. It’s not that complicated. There are implications for other teams, though, in the event the Lakers do win the lottery. The apparent clamor for Lonzo Ball makes them arguably the team most likely to punt away the safety of Markelle Fultz and draft the hometown kid and all that comes with him. The ensuing pressure on both parties would be deafening, but also consider the fact a team like Boston could wind up with the guy they want at No. 2 anyway. It’s all conjecture, to be sure. But more than any other fan base, these guys will be sweating heavy. Adding to the pressure: Los Angeles loses its 2019 first-round pick to Orlando if its 2017 pick conveys to Philly. I hope I’m not alone in acknowledging Phoenix has a chance to do something extremely cool if they nail this draft pick, with a budding star in place in Devin Booker and some promising supporting pieces still cutting their teeth. Whether it’s Fultz, Ball or someone else at their spot, the Suns will have an opportunity to build the league’s best young backcourt. One of those two would be the dream, and the Suns need only not get leapfrogged to have a certain crack at one of them. Phoenix has never won a draft lottery, much less a title, and with what they appear to be assembling, this time it’s urgent. And on the heels of Kelly Olynyk’s magic carpet ride come the Celtics, with a chance to add the No. 1 pick to an Eastern Conference finals berth within a glorious 24 hours for the franchise. The truth of the matter is that whatever happens, Boston is going to have difficult choices to make this summer with personnel, contracts and this selection. Better hope that having the No. 1 pick, presumptively a guard, wouldn’t make Avery Bradley and Marcus Smart sweat their futures this week as the Cavaliers loom. As successful as Boston’s been, with all their pieces, they may need one step back to take two forward from here. But let’s not harp on it—the fact is that Danny Ainge has his best opportunity yet to reap the spoils that came from pillaging Brooklyn all those years ago and land Boston's first No. 1 pick since 1950. These picks are Paul Pierce’s lasting gift to the franchise. How many teams make it to the conference finals and go home with a blue-chip prospect in hand the next year? They can’t pick any lower than No. 4, but come on. Nobody will pretend it won’t be disappointing. Clairvoyant Mutombo is calling into the ether. Can you feel it?